Your premium subscription is scheduled to bill again on for . We like you, and want you to stay :) How about this instead? We know we can help you meet someone, and hate to see you leave. Why not retain your membership now with this amazing offer and keep searching while you save? Thanks for visiting! If you're here, its because you probably joined one of our industry-leading niche dating websites and are looking for Customer Support. We can help! Please see below to manage your membership. Thanks for joining one of our Premium Niche Dating Sites and we hope you have enjoyed your membership. You will see "DATING MEDIA LTD" on your credit card statement if you were billed by us. Follow the appropriate instructions below to assist you with any problems you may be having. 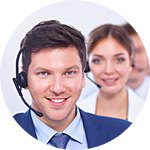 Contact us anytime, by phone or LIVE chat! We are here for you! Chat now with a customer support representative! Please know your credit card number and the name on the card before you call. Why was my Credit Card billed? You purchased a membership, product or subscription from a website that was processed by DATING MEDIA LTD. You should have received an email receipt at the time of your purchase. If you do not have your receipt, use the Account Information Retrieval Form on our home page to view your purchase details or simply call our +1 (800) 770-2715 number at the top of this page. Why is there multiple charges? For your convenience, many subscription based sites renew your membership automatically until you cancel. If you have questions regarding the sites billing, please visit the website to which you subscribed. If you have subscribed to multiple websites, these charges will be listed separately. What will show up on my Credit Card? You will see on your credit card statement a purchase from: DATING MEDIA LTD. If you do not see that on your statement, then it is more than likely you were not billed by us. How do I stop the billing? Fill out the Account Cancellation Form located on our home page. From there you can view all membership details of all your transactions processed through DATING MEDIA LTD. Once you've cancelled, you will not be billed again after the date of your cancellation. Your access will remain active until the end of the billing cycle in which you are subscribed to. What if my question is not answered? Simply fill out our Contact Us form and somebody will get back to you ASAP. International Offices - DATING MEDIA LTD - Dating Media Ltd.